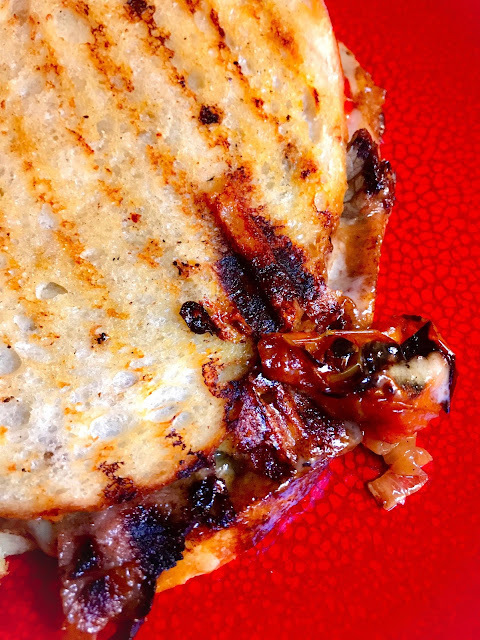 My recent Cooking to the Wine was created to pair with a lovely Corsican Casa Rossa rosé. It’s a lovely wine and beautifully priced at $12-$14. That got me thinking about all the great French wines we drink under $20. I love good wine, but we’re on a budget, so I’d say that the majority of the wines we drink fall into that price point across the board. It takes some searching out, but good values are out there. Having a good wine shop and taking advantage of the knowledge of sales people is key and basically your step one. (For those in the Bay area, I’ve included info on where I purchased these wines. Some of these locations also have online stores that will ship as well.) The next step is starting to learn where to find the values. Once you combine that with knowledge of your own personal preferences, you can more confidently start to take advantage of the many great deals you can find online as well. I thought I’d share a few more recent finds and pairings to illustrate some of the areas–although this is by no means an exhaustive list. They all fall under $20 and all make great House Wines. I love bubbles and while I don’t think there is anything quite like Champagne, I’m usually looking for something at a lower price point for everyday. And I fully believe that bubbly deserves a place on the table beyond special occasions. Crémant is a great category to look at for bubbly at a value price point Essentially, Crémants are French sparkling wines made in the traditional method of Champagne, but are from regions other than Champagne. This rosé version is from M. Bonnamy in the Loire Valley. It’s made up of 100% Cabernet Franc (more info here). It showed lovely bright berries with a hint of smoke and a little bramble. It’s a lovely and a very easy drinker. It's the perfect thing to drink on a summer day with friends, as I did over cheese and appetizers. Alsace is one of my favorite regions for white wines and Riesling is one my favorite white grapes. While it might be a region I love, I can’t always find options under $20, although I will often find really good options just over. Even so, there are a few out there under $20 if you look. I recently picked up this version from Kuentz-Bas. It was clean, crisp and refreshing with hints of stone fruits, ginger, and citrus. The wine’s affordability might be the reason I often find it by the glass at restaurants. I picked this one up at Kermit Lynch 's retail store in Berkley. It paired beautifully with this Asian-inspired Shrimp and Leek dish based on a recipe from Jonathan Waxman’s A Great American Cook. I served this dish with its deliciously flavored broth for my mom’s birthday during my parents' recent visit. 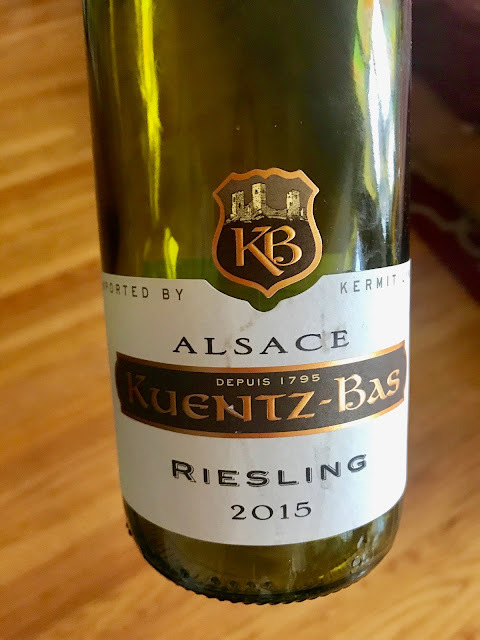 Another option when looking for lower priced options in Alsace is to look for varietals that tend to be a little less pricey like Pinot Gris and Pinot Blanc, and blends under the name ‘Gentil’ (Hugel makes a good one). 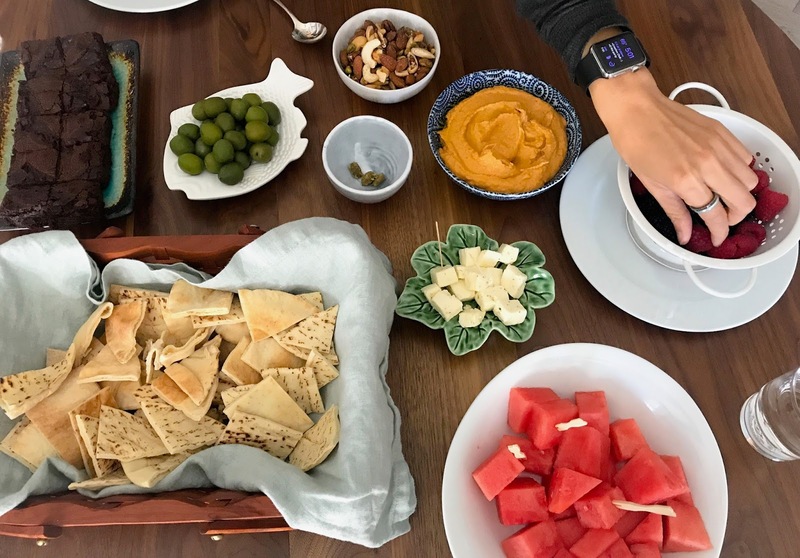 Rosés are not only great summer drinking, they’re extremely versatile food pairing wines year-round. Provence is perhaps the most well known region for rosé, and they do make beautiful clean, crisp, herb inflected rosés (like the example in this post). However, you can find really beautiful versions from all around the country. Tavel in the Southern Rhône is another region that specializes in rosé–it’s the only thing they make. While still completely dry, the wines tend to be more deeply colored and have a little more tannic structure than the wines. I paired this one from Château de Trinquevedel (which I also picked up at Kermit Lynch) with one of my favorite dishes that I’ve created for 8 & $20: Scallops with Creamy Cheddar Jalapeño Corn. This is also one of Greg’s favorites and I made it for his birthday. For an extra treat, I tossed the scallops in bacon jam, however, I must admit that I think the wine would have paired even better with the original version on recipe, as delicious as it was. 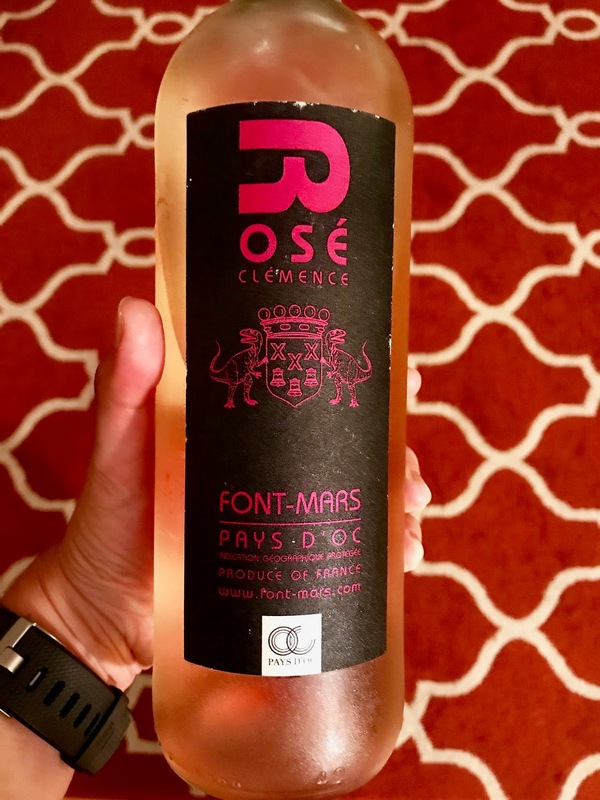 This Font-Mars Clemence Rosé has been another recent favorite. It’s made up of 100% Syrah, so this is another more structured version (more info here). It’s juicy with a rounded mouthfeel with bright berries and hints of pepper and flint. Fun fact, the dinosaurs are on the crest here because fossilized dinosaur eggs on the property. Bought this one at Bay Grape. I paired it with what was cobb salad on steroids with roasted carrots, peppers, corn, fresh cherry tomatoes, hard-boiled eggs, bacon, shredded chicken, avocado, blue cheese, and kale. The wine worked particularly well with the smoky notes in the bacon. I’m totally stealing this term from one of my bosses at the wine store. The A-Side of this joint is the Côte d'Or (divided into the Côte de Nuits and the Côte de Beaune) which tends to get all the hype. Those wines are amazing, but big price tags tend to go with the hype. However, there are other sub-regions to Burgundy and contrary to popular belief, there are deals to be found. 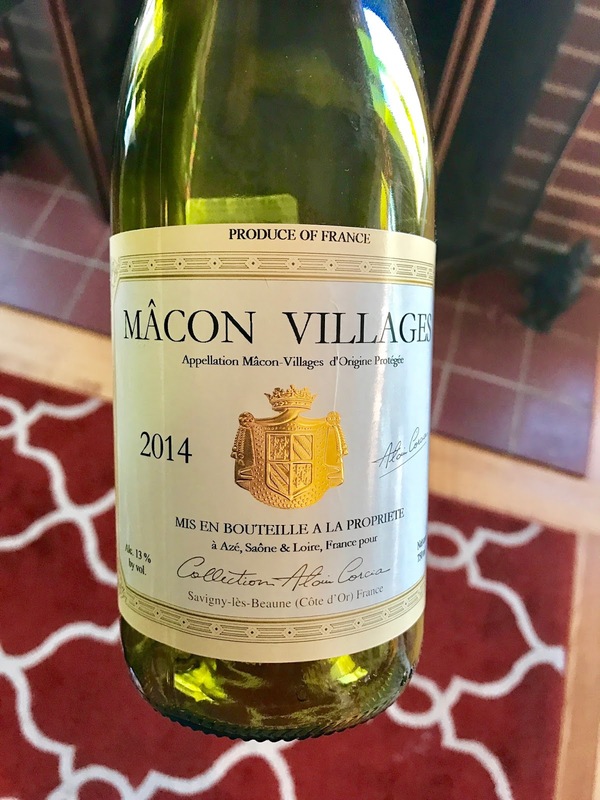 The Côte Chalonnaise and the Mâconnais are further south from the prime real estate and have different terroirs, but they have great wines at lower prices that make them good options for everyday. Chablis to the north gets some play and recognition, but it’s another area where you can still find some deals. (Check out this Cooking to the Wine for one option.) There are also producers making excellent Bourgogne for everyday drinking–it’s worth getting a rec on these from a sales person at a good store. You can also find good options out of the Hautes-Côtes de Baume and Hautes-Côtes de Nuits. These sub regions lie outside the prime vineyard areas or the Côte de Beaune and the Côte de Nuits, but can provide good everyday drinking options. One last category– Bourgogne Passe-Tout-Grains is another favorite of mine for everyday. These wines are a blend of Pinot Noir and Gamay and I find them to be really versatile wines for food pairing. They’re low tannin and have good acidity, but also tend to have a pleasant fruitiness, so they go with a wide range of options. For inspiration, here is a Mâcon Villages from Alain Corcia we picked up at K&L in San Francisco and paired with sous vide salmon with mashed potatoes with leeks, and broccolini with Parmesan cream. This Chardonnay (as is the case with many from these categories) was super refreshing and crisp with no oak influence. It’s much leaner than most you’ll find from the U.S., but could still could stand up to the richer elements in the dish. This recipe for Creamy Chicken and Vegetable Crepes, also worked really well with a Mâcon Villages from Louis Jadot. And if you’re still not convinced, here is a slew of other “Bargain Burgundies” enjoyed by my tasting group earlier this year (although not all of these are under $20). You should also check out this recent Cooking to Wine for Clam and Burrata Pizza paired with an excellent Chablis. Building off of B-side Burgundy, we'll move right on down to Beaujolais. 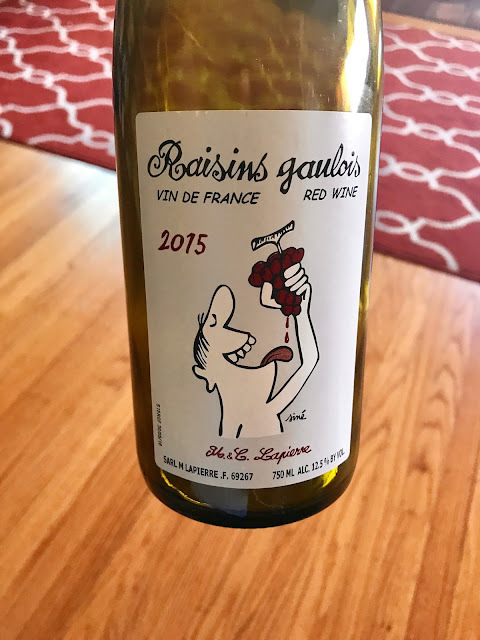 Beaujolais is kind of in an odd position–in terms of wine, it is considered to be a part of Burgundy, but it’s within the Rhone, administratively speaking. I think of it as its own thing. There is also more to this region than light, fruity Beaujolais Nouveau. You can start to find some really great deals if you go up a tier to Villages level, and there are definitely some beautiful wines at good price points if you search out the Beaujolais Crus. There are 10 Crus will appear under its own appellation. They are: Brouilly, Chenas, Chiroubles, Cote de Brouilly, Fleurie, Julienas, Morgon, Moulin-a-Vent, Regnie and Saint-Amour. This is another set of really versatile food pairing wines. Like I said above of the Bourgogne Passe-Tout-Grains, they have moderate tannins and have good acidity that can go with a wide range of foods. They also tend to have a balance of fruitiness and earthiness, and I’ve found they can often even handle food with a little heat that are otherwise hard to match. They’re good ones to looks for on a restaurant when you need to pair with multiple dishes because it goes with a lot and they're unlikely to clash too badly with most things. (The same quality makes it a good option for Thanksgiving.) Plus, even with the restaurant markup, they’re usually among the more reasonable options. To top is all off, now is an excellent to search out the Beajo Crus because 2015 was an excellent vintage for the region. Demonstrating both of these points was this lovely Clos de la Roilette Fleurie 2015. Medium bodied with a blend of velvety red and darker berry flavors accented by pretty floral notes. It was juicy and fruity enough to stand up to spicy sausages. I picked this one up at K&L. If you are just looking for something purely gulpable the label on the Domaine Marcel Lapierre Raisins Gaulois kind of says it all. (I think I also picked this one up at K&L. )This is a Vin de France but from Beaujolais. It has notes of dusty strawberries, raspberries and a little watermelon. We had it here with roasted chicken and roasted vegetables and sautéed chard with caramelized onions. Just for fun, here's one more quicky. 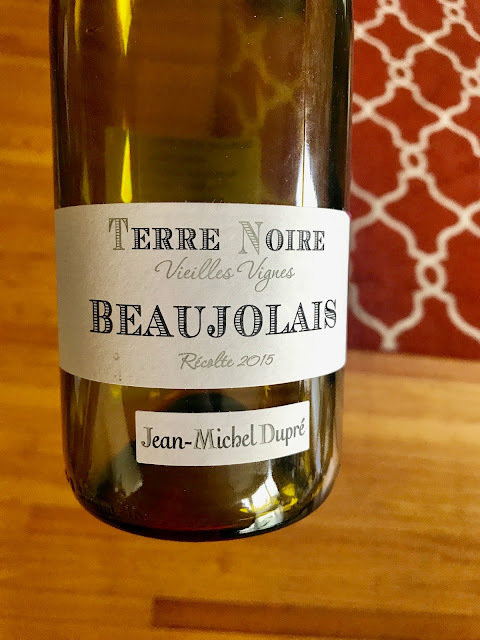 This Jean-Michel Dupre Terre Noire Beaujolais Vieilles Vignes made an easy drinking match for mushroom ravioli with crispy sage. Not complicated, just tasty. The Loire is an amazing wine area to explore for so many reasons. It’s extremely diverse and they have it all–sparkling wines, crisp whites, lovely reds, dessert wine, rosés. There are a lot of small producers here and sometimes that make specific selections from individual producers difficult. However, there are over 4,000 wineries, so hopefully you’ll be able to find some options near you. (It’s too complex a region into in depth here but WineFolly.com and Loire Valley Wines are both good resources for an overview.) This is another region I often look for on wine lists because they tend to offer good value and versatility. I love the Cab Francs that come out of the Loire–look for AOC’s like Chinon, Bourgueil and Saumur-Champigny. If you’re only familiar with Cabernet Franc from the New World, the versions from Loire are really different. 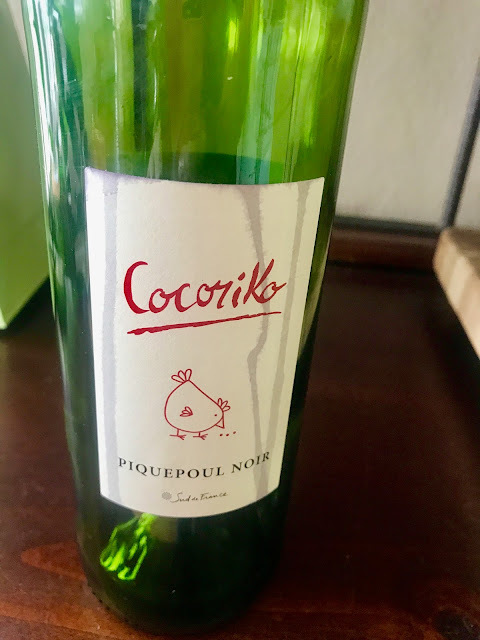 They tend be more medium bodied, have medium tannins, and usually have lovely herbal notes I really enjoy that tend to go well with savory foods. We had this Jean-Maurice Raffault Les Galuches Chinon 2014 with spicy Andouille sausages with roasted romances, pumpkin, onions, and kidney beans. As you can probably tell, sausages are go-to for us for fast weeknight dinners. I don’t think it handled the heat quite as well as the Fleurie above, but it was generally able to straddle the many flavors in this dish quite well. It was a really pretty wine showing bright cherries, herbs, and a mineral edge. I’m not certain if I bought this at K& L again or via Wine.com, but think I’ve purchased at both in the past. These are all admittedly distinct regions with their own characteristics and I’ll give them a little individual play in a moment. However, there does tend to be crossover amongst some the grapes used, even if the focus falls on different varietals in each. I’m a fan of the GSM (Grenache, Syrah, Mourvèdre) blends and variations and you tend to be able to find some great everyday values across all of these regions. Together, these tend to be some of the wines we drink most often. Admittedly, Southern France should include the South West and I don’t have any here today. That shouldn’t stop you from exploring it though, as that’s also a great region for wine values. If interested, I did have this 8 & $20 a while back for Pistachio-Crusted Rack of Lamb with Pomegranate-Mint Bulgur Wheat paired with Madiran, or check out this Cooking to the Wine pairing Lavender-Herb Rib Eye and Grilled Veggies with a Cahors. Languedoc and Roussillon were once two separate regions that have been lumped together. They still have distinct differences–Languedoc has more in common with the rest of Southern France, whereas Roussillon takes quite a bit of influence from Spanish and Catalan cultures. Together though, they’re responsible for about a quarter of all of France’s vines. It’s definitely a region where you can find a lot of good deals, although there’s quite a bit of bulk wine too. This wine has notes of bright black cherries and red plums and hints of savory herbs. It’s medium bodied and takes a chill well, which makes it a delightful summer red. It’s also pretty light on tannins, so it makes possible match for heartier fish like salmon and tuna. I served it for my parents on their recent visit and paired it here with sous vide salmon (our favorite way to prepare salmon) topped with white miso butter, served with roasted potatoes and radishes and braised radish greens. Moving back toward the mainstream and getting back to those GSM’s this Gérard Bertrand Languedoc Syrah/Grenache 2011 worked really well with steak with salsa verde, crispy and roasted cauliflower. I find that the Bertrand wines tend to be a good value. 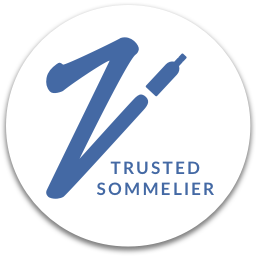 In addition, while it’s a sizable operation, they’re pretty committed to sustainable winemaking with the majority of their vines being grown through organic or biodynamic farming. I also tend to find the wines are pretty widely available. I’ve been able to buy them in many places from K&L, Wine.com, and even BevMo. This recipe for Lamb Kebabs with Israeli Couscous Salad also happens to be paired with a Gérard Bertrand wine. Moving to the southeastern corner of France is Provence. 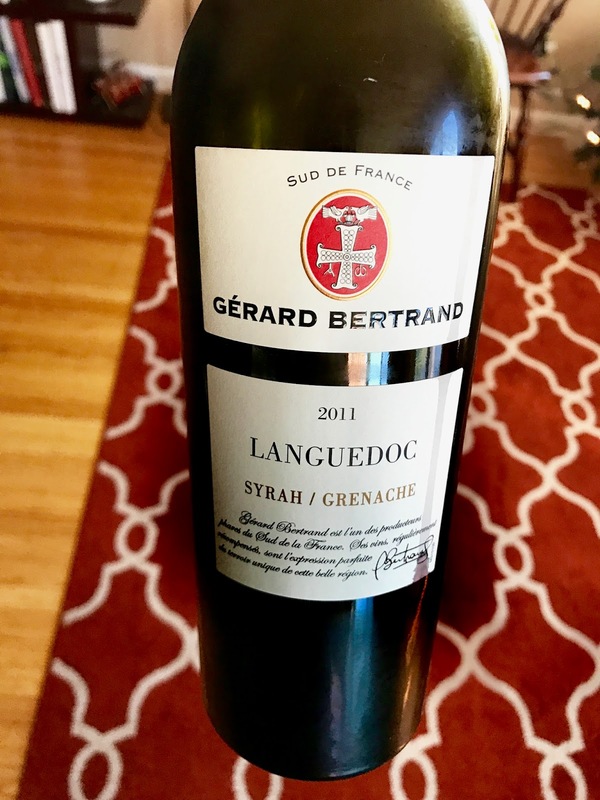 You’ll find quite a few of the same grapes as in the Rhône and Languedoc, although Carignan is a bigger player here, and Mourvèdre takes a star position in Bandol. Vermentino (known here as Rolle) is a key white grape. And of course, they’re famous for their rosés. Lentils are very typical in the cuisine of Provence and I often have lentil soup on New Year’s Day–it’s a family tradition for good luck. This year I paired this Mas de Gourgonnier Les Baux de Provence 2014 and it made a wonderful match. It’s medium bodied with a mixture of black and red fruits, hints of olive, herbs, garrigue, and light hints of spice. I could not find the blend for 2014, but the 2015 was 32% Cabernet Sauvignon, 31% Grenache, 22% Syrah, 15% Carignan. We’ve purchased this one a few times and have found it at K&L and Whole Foods, and it’s imported by Michael Skurnik. This Turkey and Strawberry Salad with Baked Goat Cheese is also paired with a Provençal wine. I’m not going to lie–this probably my favorite red region. It’s divided into North and South, and while I adore the Northern Rhône, today’s deals are from the South. Côtes du Rhône wines are pretty well known as crowd pleasers. I paired a mustard seared pork chop with wine braised cabbage with this Famille Perrin Côtes du Rhône Rouge Nature 2014, which is made from all organic grapes. 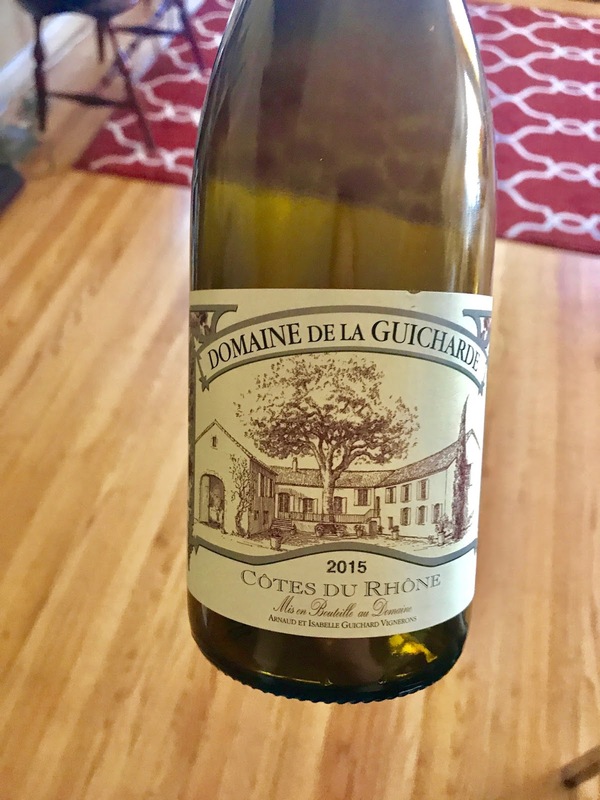 Here's another Côtes du Rhône Rouge 2015 from Domaine de la Guicharde that we enjoyed with Grilled Cheese Steak Sandwiches. This is a great natural wine value with bright, fresh fruits, red plums, light earth notes and hints of spice. At the top end of the Southern Rhone are the wines of Vacqueyras, Gigondas, and of course, Chateauneuf-du-Pape, among others. However, there are a lot of appellations that fall in between Côtes du Rhône and these at the top tier. First, there are the Côtes du Rhône Villages, which provides a step up the ladder. In the next rung up from there, the village is able to append its own name to Côtes du Rhône Villages (examples include Sablét and Visan, although there are many.) Then there are a few villages that were able to move up the next step to become their own AOC. Some of these include Rasteau and Vinsobres. Each step on the ladder is a theoretical step up in quality, and they’re many values to be found among them. 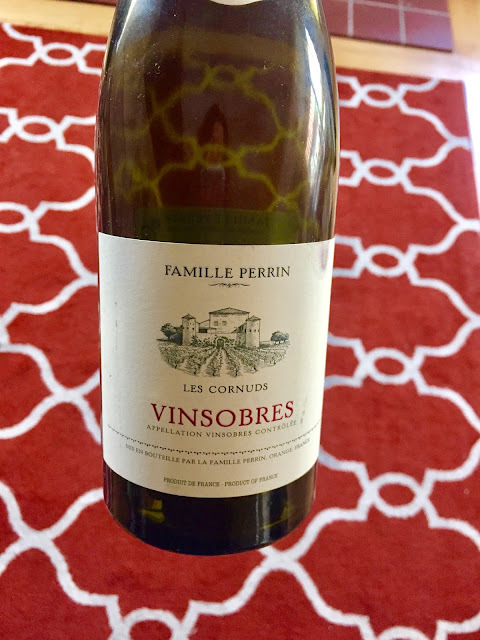 Here’s a Vinsobres Les Cornuds we had on a pizza night. 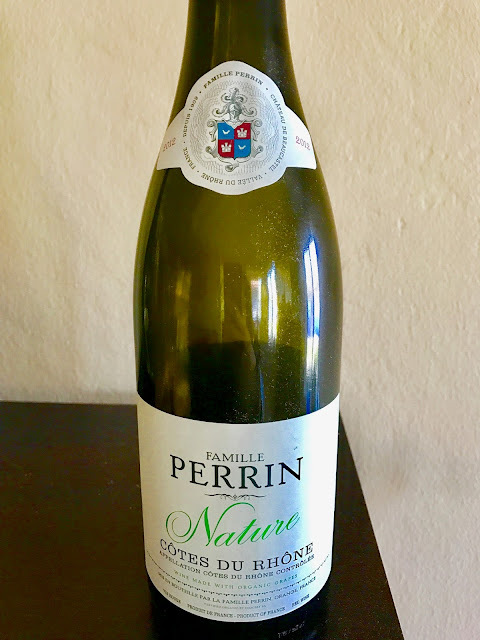 (The sausage and pepper pizza is from one of our local favorites–Leaning Tower of Haddon Hill) This is another wine from Famille Perrin, who also makes the famed Chateau de Beaucastel Chateauneuf-du-Pape. One more appellation to know about for today–because there are so many, we can’t possibly get to them all now–is Vaucluse. This is an IGP (formerly VdP) and it’s basically there to allow winemakers to use non-traditional grapes for the region (like Merlot and Cabernet Sauvignon) in addition to the traditional grapes. We recently enjoyed this very nice Kermit Lynch Vaucluse with savory, garlicky Vietnamese take-out noodles. 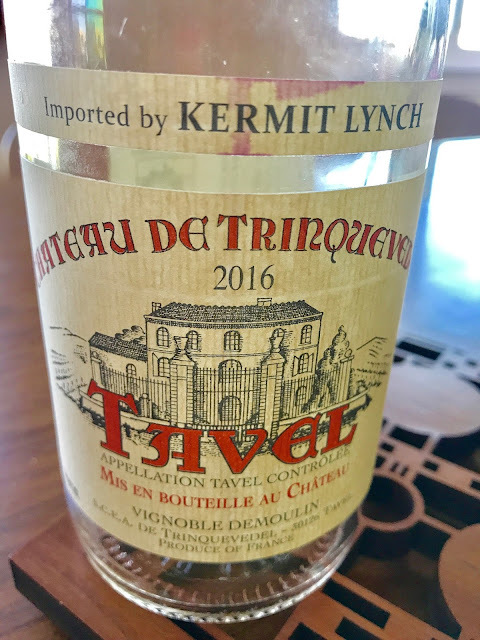 This wine is an interesting collaboration between importer Kermit Lynch and Domaine de Durban from a vineyard the family used for personal consumption and never bothered to have classified–read more about it here, but it ultimately a really good deal. The wine is made up of 55% Grenache, 20% Syrah, 15% Merlot, and 10% Marselan. Purchased this one at the Kermit Lynch store. This 2 oz pours snowballed a bit–I may have gotten a little carried away. However, it goes to show that that there are definitely good deals to be found. We’ve touched on quite a few regions here, and hopefully we’ll dive further into them future. Of course, there are even more regions that provide great values–South West France, Bordeaux (although here's a recipe for lamb paired with a BDX), etc, etc. We’ll hopefully hit on more as time goes on as well. And I hope this inspires you to go find more French wine deals. Please do share them with us, either in the comments below, or by tagging #sommstable on instagram. Consider 2 oz Pours our version of Page 6. Whether through business, friends, or an average night at home, we get to try a lot of wine. Here's where we share little tastes of standout pairing experiences from the many tables we dine at. Please share yours as well!